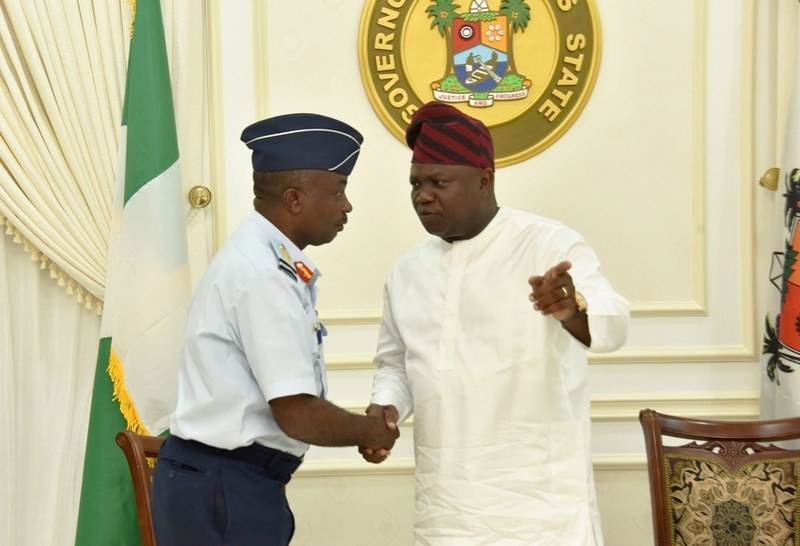 Lagos State Governor, Mr. Akinwunmi Ambode, with Commander, Nigeria 561Base Service Group, Ikeja, Air Commodore Musbau Olumide Olatunji (left) during a courtesy visit to the Governor at his Epe residence, Lagos, on Thursday, August 23, 2018. 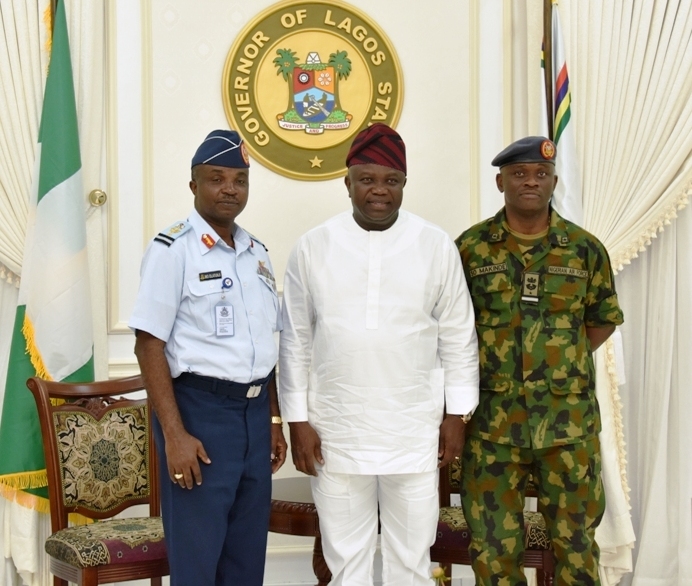 Lagos State Governor, Mr. Akinwunmi Ambode, flanked by Commander, Nigeria 561Base Service Group, Ikeja, Air Commodore Musbau Olumide Olatunji (left) and Director of Information and Communication Technology, National Defence College, Abuja, Air Commodore Sunday Olanipekun Makinde (right) during a courtesy visit to the Governor at his Epe residence, Lagos, on Thursday, August 23, 2018. 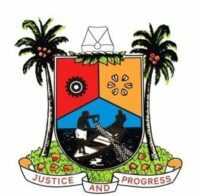 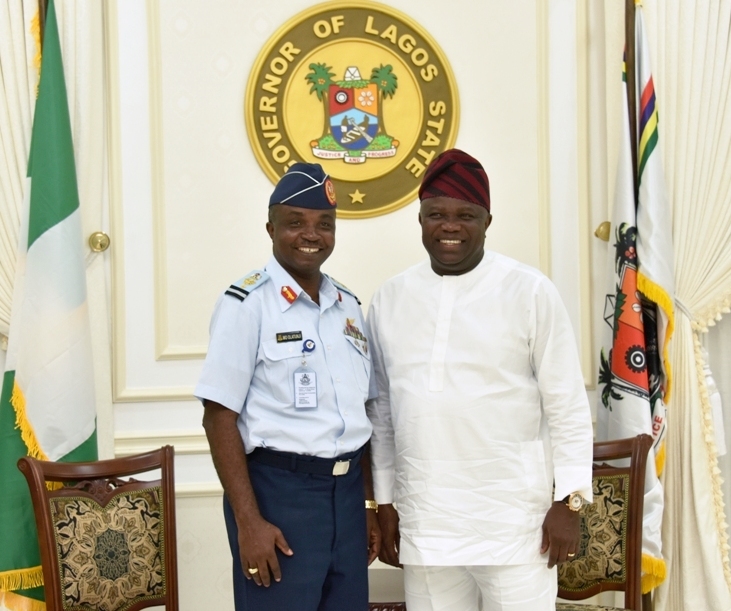 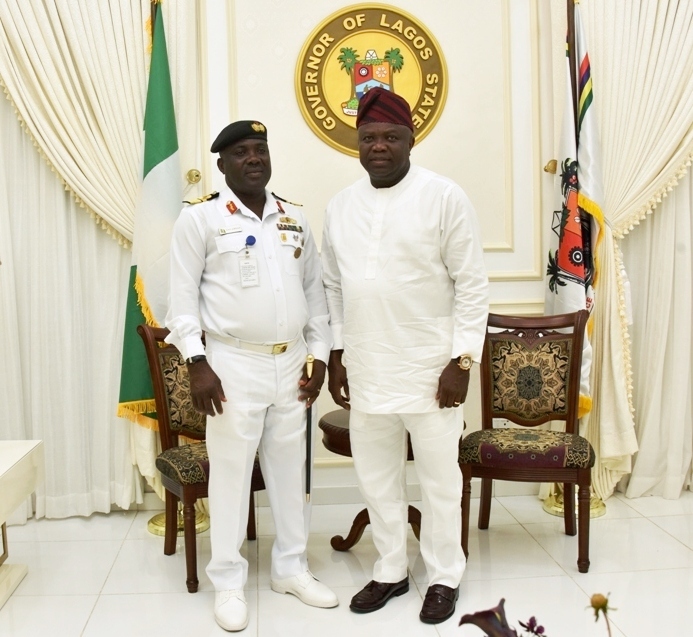 Lagos State Governor, Mr. Akinwunmi Ambode, with Flag Officer Commanding Western Naval Command, Rear Admiral Sylvanus Agada Abbah (left) during a courtesy visit to the Governor at his Epe residence, Lagos, on Thursday, August 23, 2018. 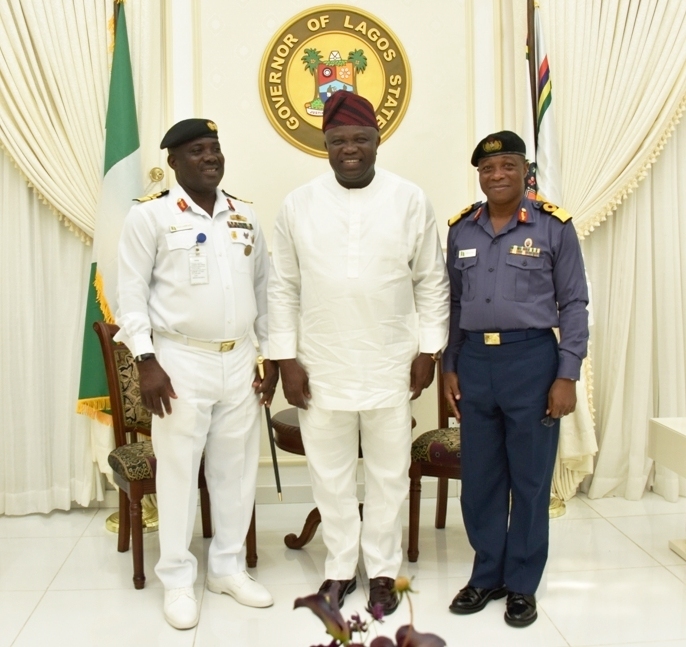 Lagos State Governor, Mr. Akinwunmi Ambode (middle), with Flag Officer Commanding Western Naval Command, Rear Admiral Sylvanus Agada Abbah (left) and Commander, Nigeria Navy Beecroft, Apapa, Commodore Okon Edet Eyo (right) during a courtesy visit to the Governor at his Epe residence, Lagos, on Thursday, August 23, 2018.